This season's Super Bowl will mark the 50th playing of this professional football championship game. 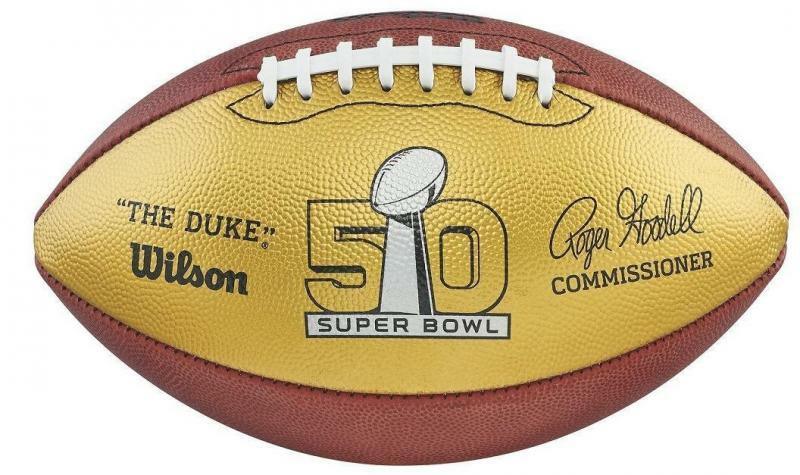 To commemorate this special event Wilson has just released this very special 50th Anniversary Gold Panel Ball. 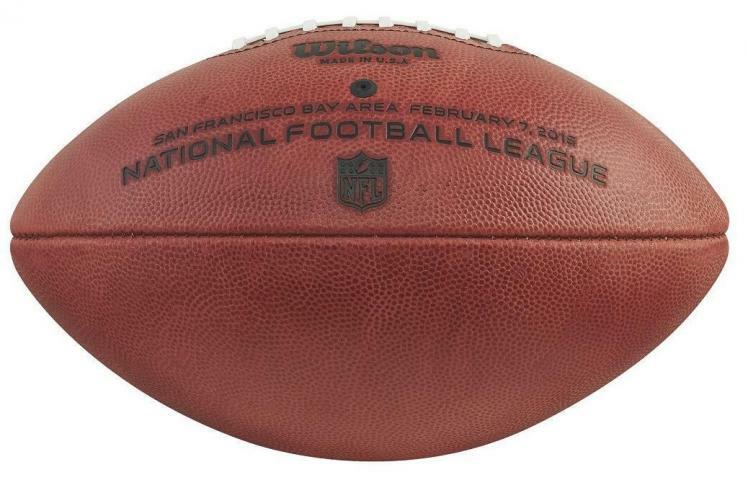 This ball is the same model as all the footballs used throughout the NFL regular season and playoffs, and features the very special Super Bowl 50 logo - the first not to include the use of Roman numerals. Football fans across the country will appreciate the uniqueness of this fine collectible. The Super Bowl was created as a way to draw much deserved attention to the final game of the pro football season - first played between the champions of the NFL and rival AFL, and then between the two conference champion representatives following the merger of the two leagues. Many great games have been played featuring a number of historic performances. 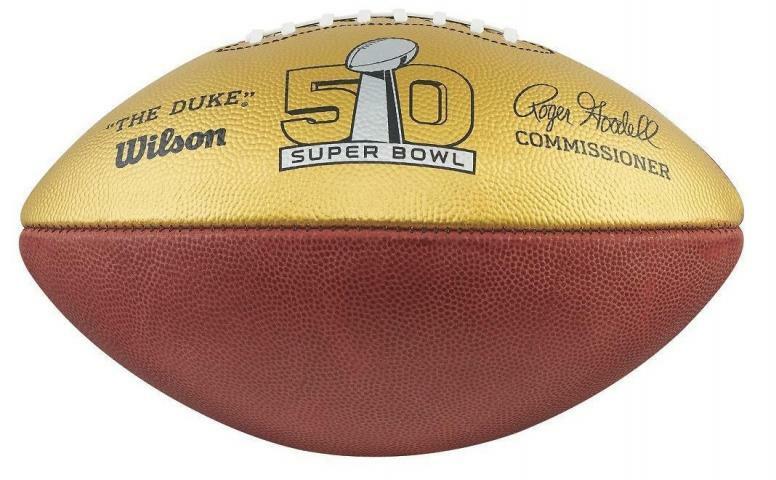 This special collectible honors the history and legacy of the Super Bowl. Get yours today. Due to the limited release of this ball we must charge your credit card for the full price immediately upon taking your order. This policy ensures we reserve a ball for you. We will confirm your order by Email. This ball is not game used. Please allow 4 to 6 weeks for delivery.